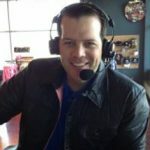 Training Camp Question #9: Will Beane Make a Move? For the next 2 days, leading up to the start of Bills Training Camp, Buffalo Sports Page will ask and answer the ten biggest questions facing the team in 2018. 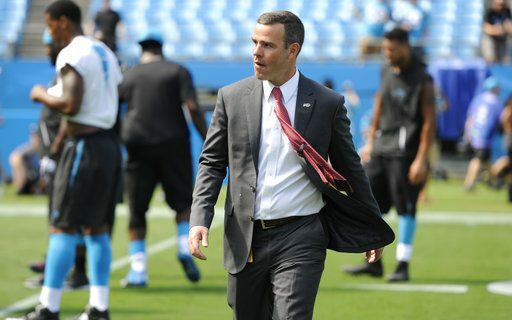 Bills GM Brandon Beane seems to be a sharp operator in his short time in his post. He has made significant trades that display confidence and a lack of fear. It started almost a year ago when he traded Sammy Watkins to the Rams for E.J. Gaines and a 2nd round draft pick. It was a statement move. He followed that move by sending Marcell Dareus to the Jacksonville Jaguars, a move that found little criticism. It was good riddance. What will Beane do this year? It may be nothing, but I doubt that. His previous moves were to clear high maintenance players from the team and the cap. They did not seem to fit into the new MO at One Bills Drive, and oddly enough, it was addition by subtraction. If you asked anyone if the Bills could make the playoffs without Watkins and Dareus, the answer would have easily been no. I didn’t think they’d make it with them. Wrong. But this is a new season, and a team with a new look. If a return trip to the postseason is in the cards, Beane is going to have to make some moves. But I think he knows better. This team is not ready for the next step. As a matter of fact, this team has stepped backwards. Playoff teams don’t shed their starting QB if they are building. Trading Tyrod Taylor to the Browns should tell you everything. Sometimes you have to move backwards to go forward. With that in mind, Beane should be looking to unload some of his marketable players with an eye towards the future. The most tradeable player is LeSean McCoy. He is the offense, and has a lot of miles left on his tread. There seems to be a renewed emphasis on the running game in the NFL, and a contender would be well served to have him as a major threat. Or course there is an off-field investigation that is lingering over McCoy and his status. That should be more incentive to get rid of him. We don’t know all of the details, he hasn’t been charged, and he could be completely innocent. That aside, trading McCoy is a consideration. The other player that would garner interest is Tight End Charles Clay. Doug Whaley overpaid this free agent tight end to bring him North from Miami. He is the Bills best receiver when healthy. That’s been the issue. He came to Buffalo with a balky knee, and it has hampered him a bit while here. Receiving tight ends are at a premium in the league, and Clay would be a boost to a contender. Trading your best offensive players isn’t going to help the Bills make a run at the playoffs, but neither is playing an inexperienced QB. The Bills have three of them in camp, so the odds of any of them leading them to the postseason are remote. Brandon Beane knows this. McCoy and Clay only have a few more years of prime play left in them, and it could be wasted on a team that is rebuilding. Trading them could speed up the process (had to work that in) and it’s something Beane has to be considering. #7: Who Will Be The Starting QB? #8: Are Beane & McDermott Overconfident or On Target?